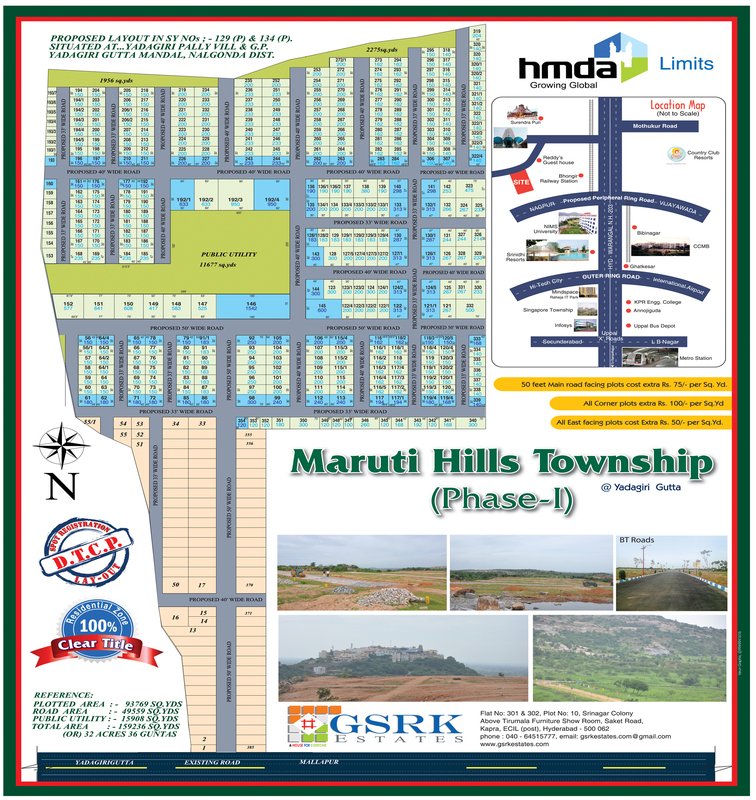 Maruti Hills Township (Phase I) is located in scenic and pollution-free surroundings, close to the prestigious 200 feet wide four lane Warangal National Highway, the venture offers all the conveniences of an urban area with the comforts of urban-rural setting. The impressive venture is well protected on all sides along with the splendid arch offering you a warm welcome to the bright future. We are making our estate a place for spirituality and comfort within close proximity of Hyderabad. We have excellent rail and bus facilities within short reach of our estates. The project is developed with all the facilities and comforts at your exposure to enable you to construct your houses immediately. 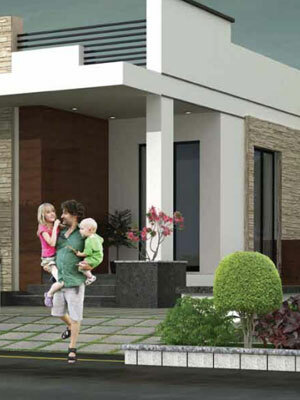 We also have the plans in place to construct the villas as per our valued client's convenience & interest. Hyderabad is expanding rapidly in all directions. Yadagirigutta is one of the major center for developments towards Warangal Highway. We are developing this center for you at an affordable price, sure to yield great appreciation within a short span of time.